It's winter here in Melbourne, Australia, and the temperature is around 4 - 15C (~40-60F) at the moment, with lows expected to get to below 4C (or <40F) in July. 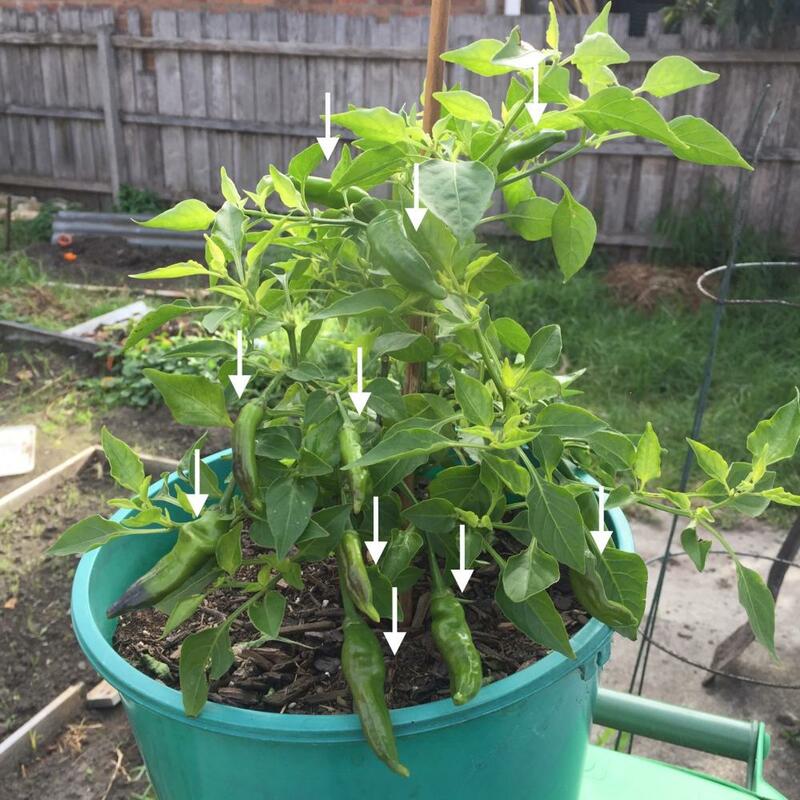 A few of my late bloomers have set dozens of pods, and in the last several weeks they've been very slow to grow and ripen. So in an effort to extend the season, I built this mini greenhouse! I'll be experimenting with a how to keep it from getting below 4C (40F) overnight, perhaps with a few hot water bottles or a heat mat if need be. 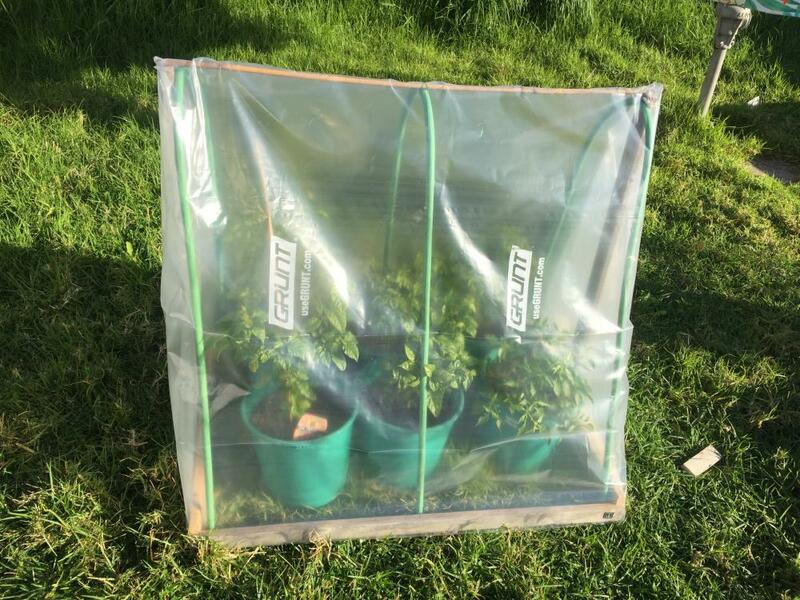 Because we seldom get frost, I'm hoping this set up will see my chillies through the winter months and into spring unscathed. Fingers crossed. That should work , those pods will be smaller, but should have a really good flavour. Yeah I think you're right, I'll just be happy to get anything, but more importantly, to keep the plants alive. Fortunately, they've survived a 2C night (36F), so I'm hopeful it'll see me through the winter. I have a trinidad scorprion, Butch T, chocolate fatalii, aji pineapple, red habanero and red mushroom cap crammed into this little 1.2m x 0.7m space! It's a squeeze, but not too crowded. Cool setup and seems like a good plan. I'd be interested to hear how it works for you. 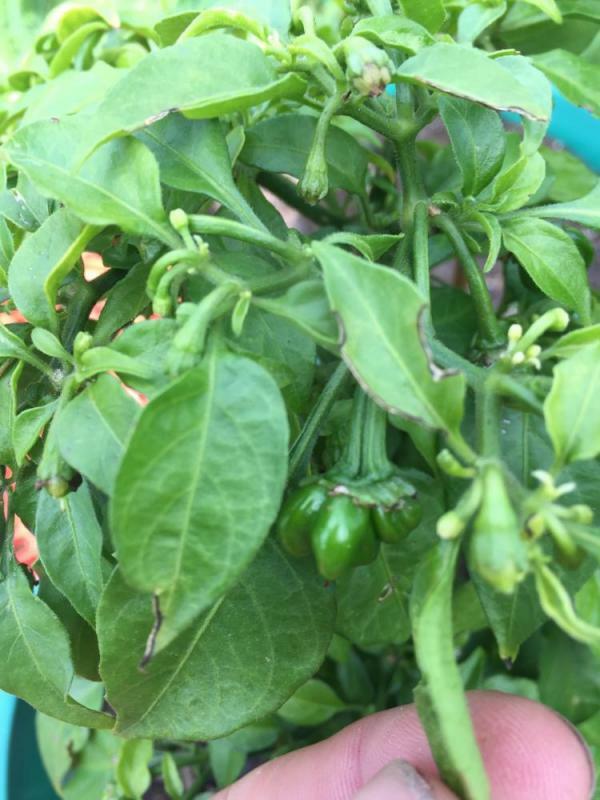 In my experience, getting adequate heat to the plants seems to be the big mover in keeping ripening at a decent pace. The water bottles or a heat mat might help with that specifically, as well as with overall plant happiness. 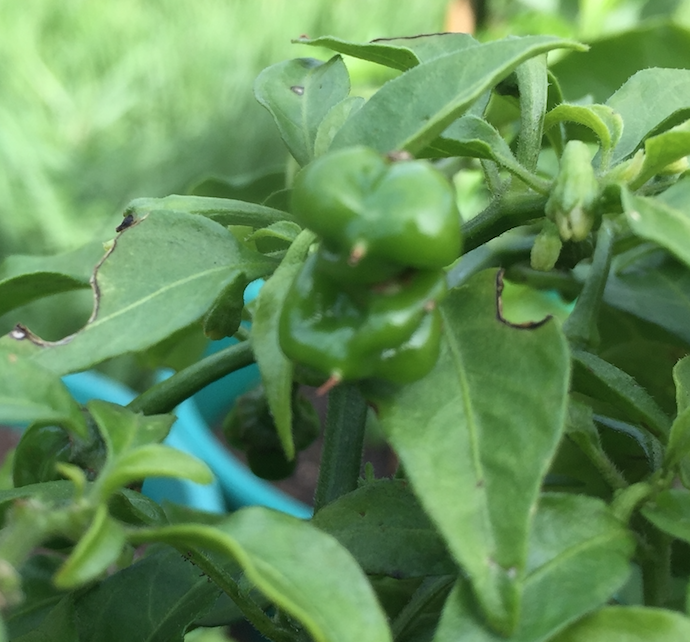 Every year I lose too many unripened peppers due to Seattle's shorter/cooler summers and have done various things to extend the season for a few plants,. This year I plan to use a couple larger (3m x 1.5m) hoop houses with water jugs to see if I can buy a few more weeks of ripening for a bunch of them. Hope the hoop houses work for us both! What are those hoops made of? very cool, how hot does it get in there on the 60 degree sunny days? I have an automatic vent opener on my small greenhouse - it slowly opens up the roof vent as it heats up inside. Also, i picked up a cheap small solar panel off fleabay and have it wired directly to a few computer fans which blow air in at the corners from ground level. It only runs when it's sunny, but that's the only time it needs to run..
Edited by Swisschili, 29 June 2018 - 04:19 PM. Sorry about the belated replies, must have missed the notifications! Pics to come. It's working so far, currently in the middle of winter and while the plants aren't exactly thriving, they're definitely surviving. Pods are still quite slow to develop and ripen unfortunately, although I have picked a few. I wonder if ripening requires some constancy in temperature above a certain minimum, and perhaps this isn't been adequately achieved as my night temps fall quite low. So I think I've moved up from 4 to 3. But this is all hypothetical... I'll read some papers and see what's actually going on. I suspect moisture might also be another variable, though I'm trying to keep the soil relatively dry. It's made from a stiff garden hose + bamboo cane. Really pleased with how it turned out. 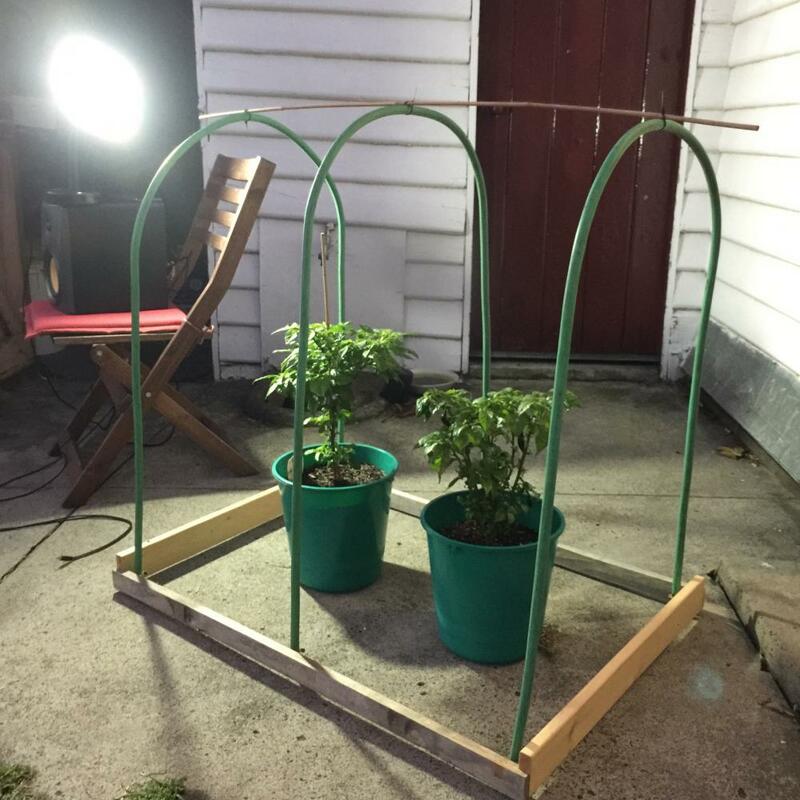 I wanted a taller hoop house without having to increase the diameter of the arch. Basically the cane was inserted to make the sides straight and to provide some additional structural support. Yep it's gets pretty hot! Depends mostly on how cloudy it is too, but on a sunny 15*C (~60F) day, the soil surface temp gets above 28*C (82F). That's a nifty idea. One of my concerns it having warm stagnant wet air, so I might implement that to see if I can get some circulation. Some pictures. Interestingly I have a Hab that currently has two double pods! Quite a few Trinidad Scorpion pods, hoping they reach maturity. Success! Mid winter outdoor ripening! That's awesome! 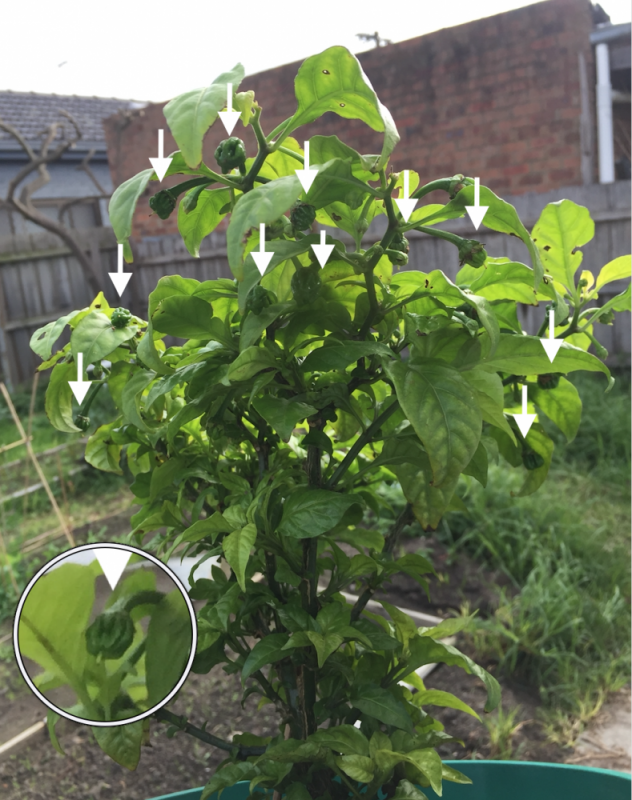 Looks like the Aji had a bunch of pods on it in the pic above from week ago. Are they getting close? Any movement on the t-scorps? Also curious if the pod is firm/crisp. It looks solid, but I have seen some cold weather ripenings where the pods ended up soft when they took too long. 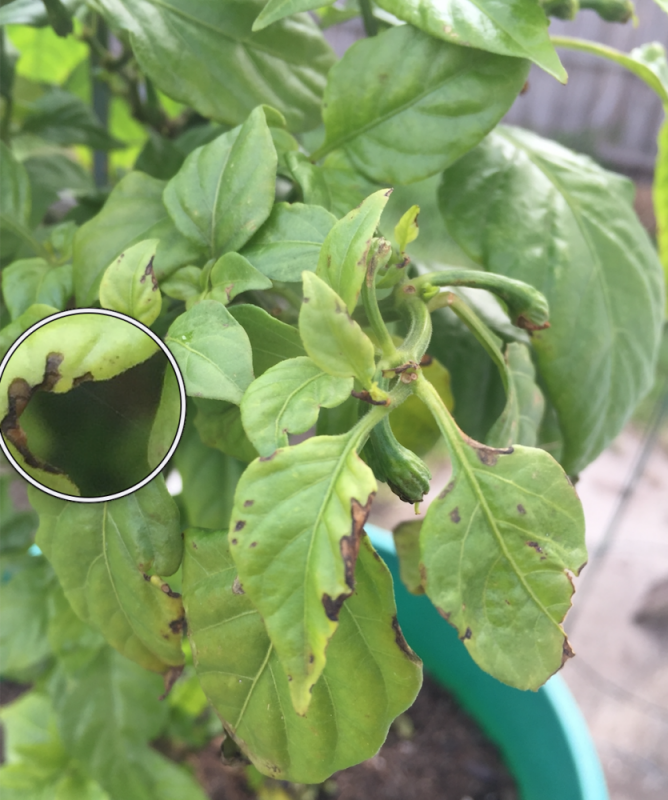 I remember that happening with an Aji Limon in particular, which was a major bummer because it was really loaded down. 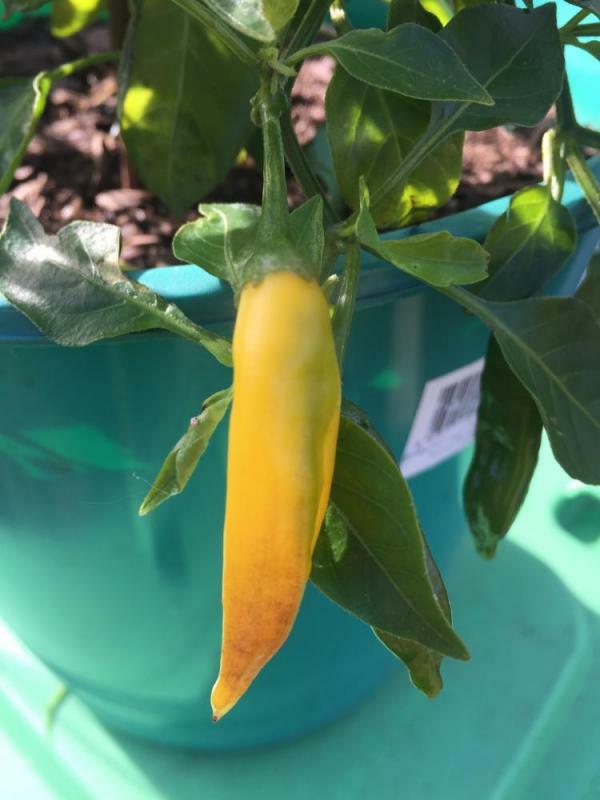 For the Aji about a 1/3 of the pods are ripe, the others are starting to turn too. Interestingly, the pods were actually still crisp! On the other hand, my shishito has been ripening for probably months now, and like you mentioned, it's actually quite wrinkled and soft, despite being mostly unripe. I'm really just interested in the seeds at this point. The t-scrops are still moving pretty slowly... I can't really notice much of a change since I took the photo. It's still alive though, so there's that.